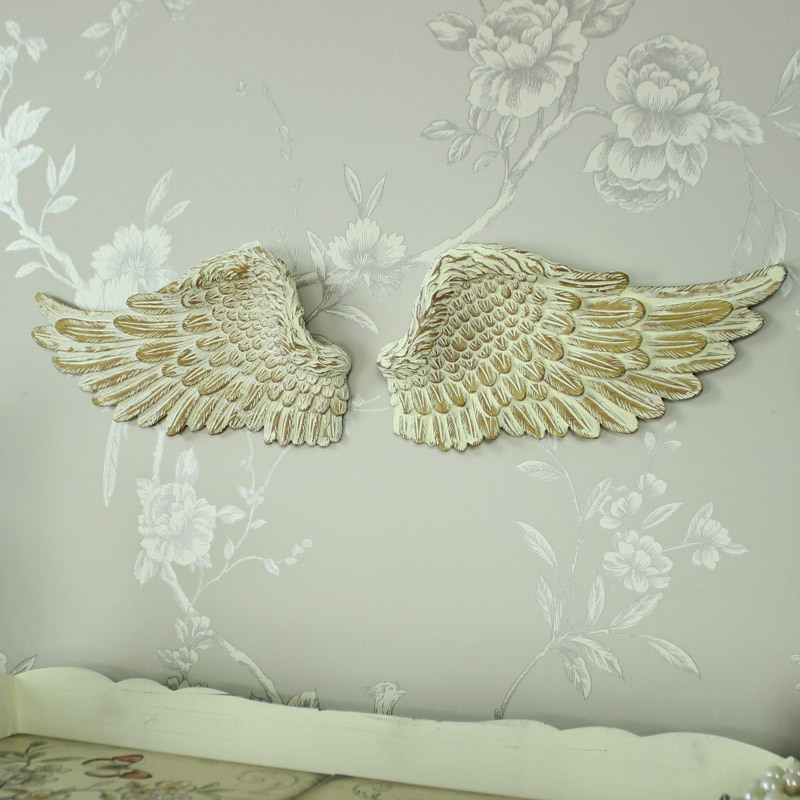 Beautiful cream vintage style wall mountable angel wings. Perfect wall art for a shabby chic style bedroom or living room. 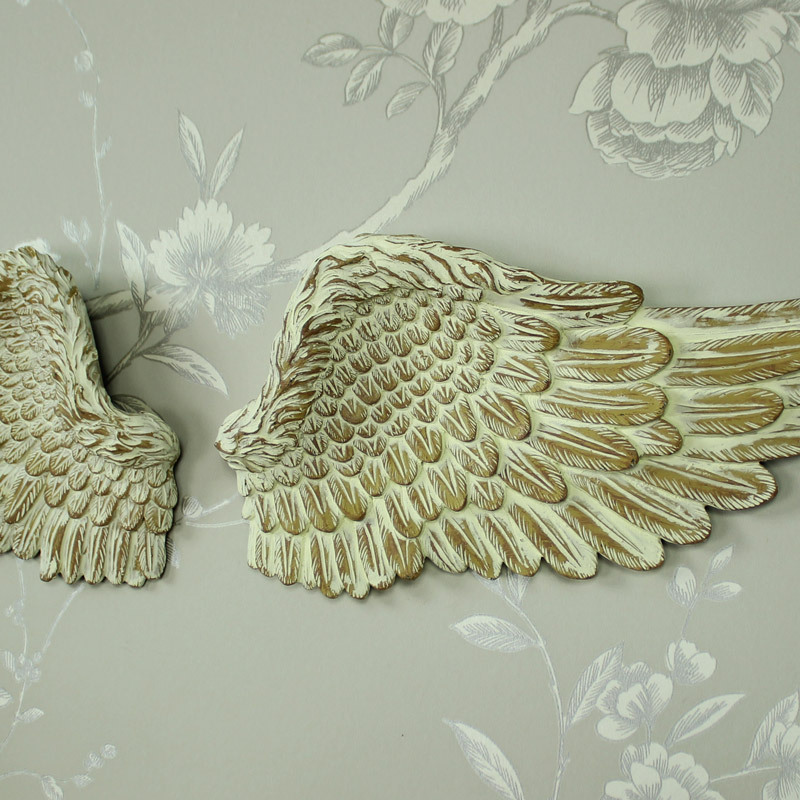 Made from cast resin with a cream distressed painted finish and realistic feather carving to each angle wing. Finished with gold distressing giving that Vintage feel. A gorgeous wall accessory for a Vintage style decor.